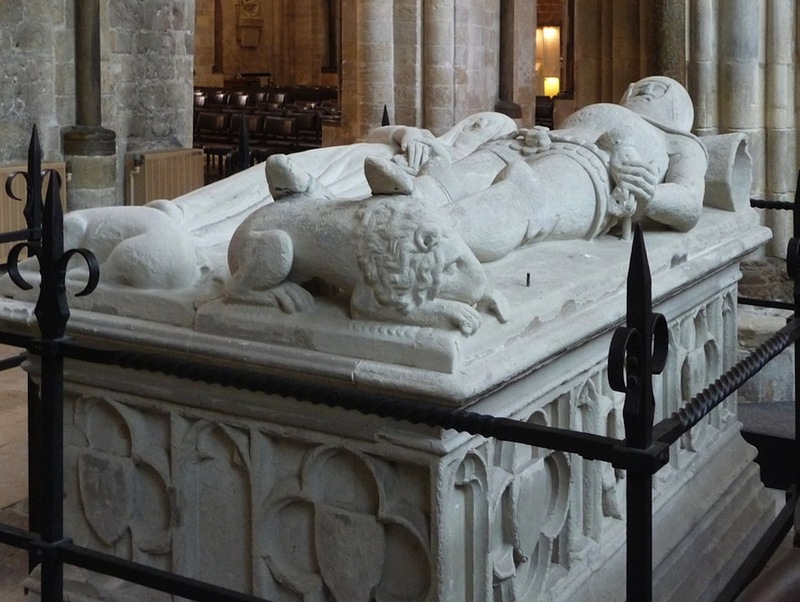 Edward Richardson was commissioned to restore the Arundel Tomb at Chichester Cathedral, which commemorates Richard Fitzalan III, 13th Earl of Arundel (ca 1307-1376) and his second wife Eleanor. He had stipulated in his will that they should be buried together. 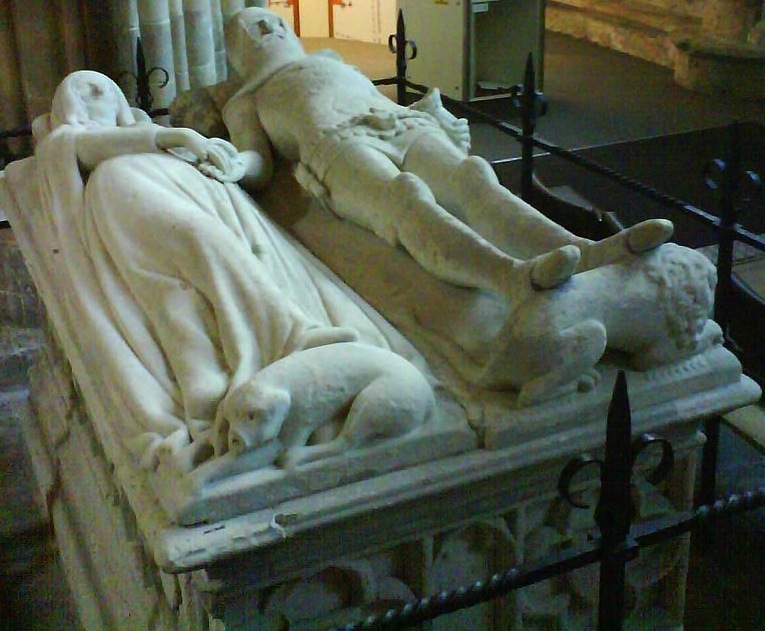 According to the plaque in the Cathedral, "the knight's attitude is typical of that time, but the lady's crossed legs, giving the effect of a turn towards her husband, are rare. 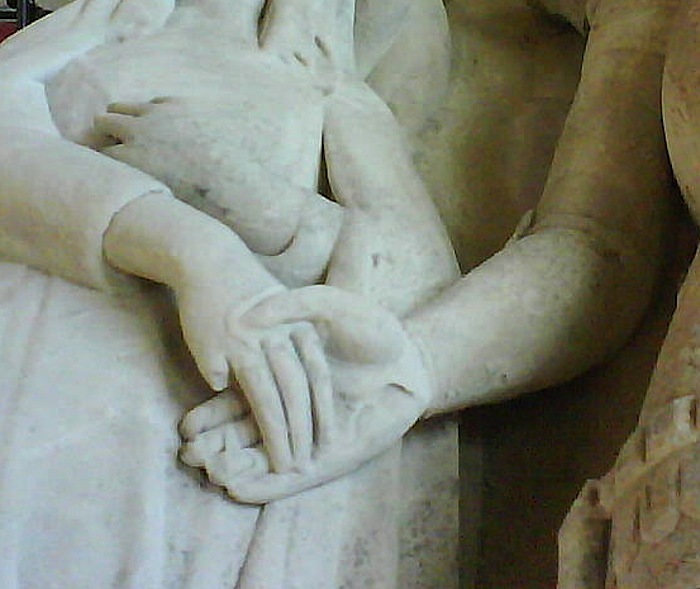 The joined hands have been thought due to 'restoration' by Edward Richardson (1812-69), but recent research has shown the feature to be original. If so, the monument must be one of the earliest showing the concession to affection where the husband was a knight rather than a civilian." Expressig a less ambiguously negative view on his manuscript draft of the poem, Larkin wrote: "Love isn't stronger than death just because statues hold hands for 600 years" (qtd. in Motion 274). Dodgson, Campbell, rev. Jason Edwards. "Richardson, Edward M. (1812–1869), sculptor and archaeologist." Oxford Dictionary of National Biography. Web. 6 January 2017. Motion, Andrew. Philip Larkin: A Writer's Life. London: Faber, 1993. Richardson, Edward. The Monumental Effigies of the Temple Church, with an Account of Their Restoration in 1842. London: Longman, Brown, Green, and Longmans, 1843. Google Books. Free eBook. Web. 6 January 2017.